The Philadelphia skyline at night, from the east, taken from the Ben Franklin Bridge spanning the Delaware River. To enlarge this breathtaking photo, just click directly on it. This is the Site Map for Enjoying Philadelphia. Hopefully, this page will help you find the attractions and places to visit, that you would most like to see, during your trip or excursion to Philadelphia. 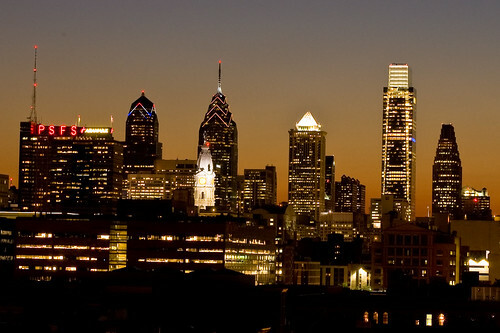 You can return to the Enjoying Philadelphia Home Page.